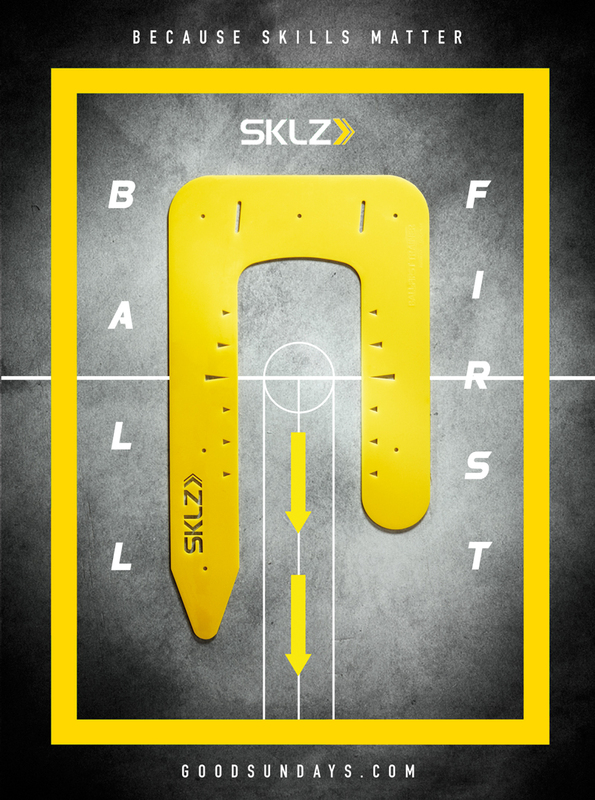 Another tool from SKLZ to improve my golf skills – “Ball First Trainer”. I got the recommendation for this tool from my coach Arne Dickel. As most of other amatueres golfers I battle with an early release of my wrists. With this tool I have the chance to get an immediate feedback about my attack angle. As this tool is portable and quite light I can use it on the driving range and on the course. No more warmup for me without this little plate!! My training session looks like that: First I hit 20 half swings with my Gap-wedge and after 20 full swings with my 9 iron. I continue with my long irons using the same method – first reduce the speed and backswing and after hit full shots. On every club (beside my driver) I try to get my hands in front of the ball during impact. The Ball First Trainer from SKLZ helps me a lot having the idea of hitting a punch/low launch shot. It will take some time to start a friendship with this training aid but I promise you will love it when you see the power you can create with a correct hand position at impact. Here a link to the youtube video.